Malaysian Flying Academy. 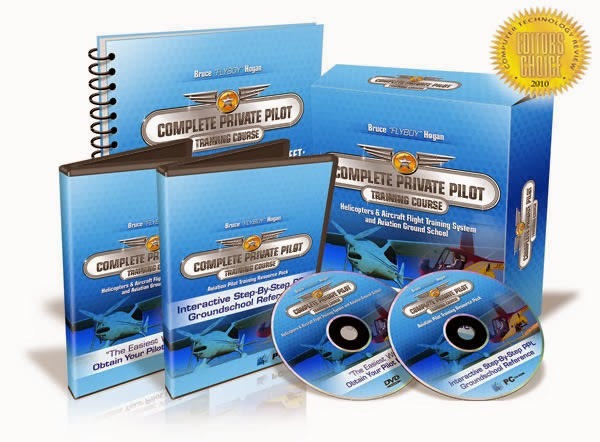 Whether you are a private pilot enthusiast wishing to take to the skies over the weekends for recreational purposes or whether you are contemplating charting a career for yourself in the fascinating world of aviation as a professional airline pilot, the professional flight training licenses and ratings that result from successful completion of the same form the indispensable and required tools and essentials to begin your journey to realizing your lofty aspirations. 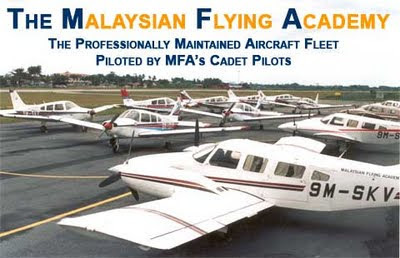 MFA has successfully trained and continues to train cadet pilots for major world airlines for the past two decades such as Malaysian Airlines, AirAsia, Singapore Airlines, Silk Air, Jetstar Airways and Air Mauritius as well as air regiments from Polis DiRaja Malaysia. MFA cadet pilot alumni have come from as far afield as Australia, Portugal, France, Hungary, Maldives, Mauritius, Myanmar, Iraq, Iran, Libya, United Arab Emirates, India, Indonesia, Sri Lanka, Taiwan, Thailand, Hong Kong, Finland, Japan, Oman, Yemen, Singapore and of course Malaysia. MFA is an internationally recognised International Civil Aviation Organisation (ICAO) listed advanced tertiary institution fully approved and accredited by the Department of Civil Aviation, Malaysia (DCA). All of MFA's courses are geared towards the exceptionally rigorous and demanding standards set out by DCA as well as the Joint Aviation Authority (JAA). Kindly browse through our website to learn more about MFA as well as the professional flight training courses we offer in training pilots for the airlines of the world. The Private Pilot Licence Course is geared and crafted in accordance with the specifications as is presently required by the Malaysian Department of Civil Aviation. It is a minimum continuous twelve (12) week term course designed to train a person to be able to confidently pilot a single piston-engined aircraft on his or her own. A successful completion of this course along with DCA's theory examinations results in a Private Pilot Licence. It is an elementary course which is usually undertaken by private pilot enthusiasts or hobbyists to allow them to take up flying as a hobby. Incidentally, it also forms an integral part of the CPL/IR course detailed below. Exceptional competence in the English language. Flight School Training consists of forty eight (48) hours of solo and dual Single Engine (SE) flying on our Piper Warrior fleet. The Commercial Pilot Licence with Instrument Rating Course is geared and crafted in accordance with the specifications as is presently required by the Malaysian Department of Civil Aviation. The course duration, inclusive of all ground and flying training, shall be not less than twelve (12) months, exclusive of holidays to meet the continuity requirement of an effective flight training and academic program for CPL (Single Engine) and overall, it shall not be less than fourteen (14) months, exclusive of holidays for the course as a whole. This approximates to eighteen (18) months. The Commercial Pilot Licence with Instrument Rating (CPL/IR) course is an INTEGRATED COURSE in that its syllabus seamlessly integrates the Frozen Airline Transport Pilot Licence (ATPL) course syllabus such that the cadet pilot, who successfully undergoes this course to its completion and successfully passes all the requisite DCA and JAA exam papers which this course thoroughly prepares them for, secures his/her Commercial Pilot Licence with Instrument Rating as well as a Frozen Airline Transport Pilot Licence, which are all required licences and required ratings issued by DCA for a cadet pilot to be inducted into the narrow body fleet of major airlines. This course is designed to train a person to be able to fly a commercial airplane. A successful completion of this course along with DCA's and the JAA’s theory examinations results in a Private Pilot Licence, a Commercial Pilot Licence with Instrument Rating and a Frozen Airline Transport Pilot Licence. It is an essential and fundamental course in one's path to becoming a full fledged pilot with commercial airlines. Flight School Training consists of a hundred sixty three (163) hours of solo and dual Single Engine (SE) flying to be completed at no less than twelve (12) months exclusive of holidays on our Piper Warrior fleet and thirty seven (37) hours of Multi Engine (TE) flying on our Piper Seneca fleet.